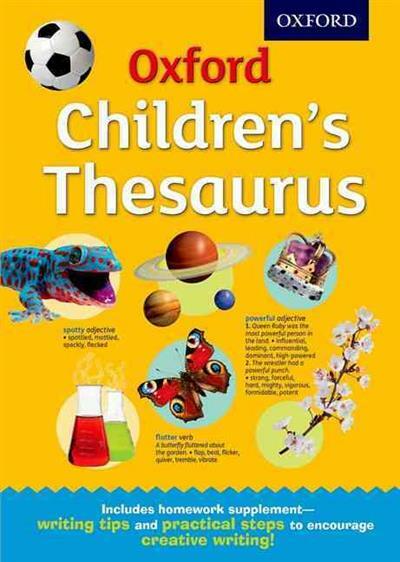 Over 45,000 synonyms, age-appropriate examples and opposites make this an ideal thesaurus for homework help for children aged 8+. Key features are picked out: Overused Words panels at words such as 'nice' and 'good' give appropriate alternatives; Word Webs provide related words for project work - such as at 'bird': types of birds, parts of a birds body, sounds made by birds and words for groups of birds; Writing Tips provide tips and even more vocabulary for writing. The new Creative Writing supplement shows how to create words using prefixes and suffixes, how to use idioms and similies and other was to make your writing effective and powerful. Compiled using the Oxford Children's Corpus, it reflects children's vocabulary and delivers support and help where it's needed.